Facebook viruses have become all-too-common. The creators of these malicious programs are getting both sneakier and smarter, coming up with more creative ways to infect your computer and collect your personal information. Fortunately, there are many ways to avoid getting viruses through Facebook, so you can easily protect yourself. Facebook viruses are programs that either hijack your Facebook account in some way or are perpetuated through the popular social networking website. Some of these Facebook viruses are designed to illegally acquire your Facebook username and password, taking over your account and posting messages without your consent. These can be private messages, be unauthorized status updates on your wall, or messages or links posted to the walls of your Facebook friends. These viruses can also perpetuate themselves through Facebook, infiltrating your other online accounts and infecting your computer in some other malicious way. Some install adware or other malicious code on your computer. This can drastically affect your web browsing experience, hurting your performance and bombarding your computer with unsolicited advertising in the form of pop-ups. Other Facebook viruses are outright scams, trying to get your money and personal information. This personal information can then be used against you, as the hackers may gain access to your e-mail account, banking information, and more. Some viruses may simply take over your Facebook account and start posting pornographic, inappropriate or illegal content on both your wall and the Facebook walls of your friends. When your account is compromised, the hacker can pose as you on the social network and the messages will look like you posted them yourself. The best way to protect yourself and your computer from viruses on Facebook is to know what they look like and how to avoid them. There are several sneaky tactics that are commonly used to spread Facebook viruses. You may have seen these via e-mail, but they're also popping up on Facebook. An urgent message comes from one of your friends claiming that she is traveling abroad and was mugged at gunpoint or is otherwise being threatened in some way. She needs a certain sum of money to get back home or to get help. Don't be fooled by this one. Your friend probably isn't really traveling, and she certainly is not sending out these messages. Her computer or Facebook account has been compromised and the messages are going out automatically. Avoid replying or clicking on any links. If any part of a message sounds out of character or out of the ordinary for your friend, contact them through a means other than Facebook to confirm before doing anything else. The Koobface virus made headlines in 2008, and variations of it are still circulating on Facebook. Koobface is an anagram of Facebook. This particular worm takes over your computer and can be very difficult to remove.You can recognize this type of Facebook virus by the way it spreads itself. A friend will post to your wall, send a private message, or send an e-mail saying something like, "Check out this video! I think I recognized you!" along with a link. This message can also come with an unbelievable title, like "Chuck Norris eats hamsters - check it out!!" If you click on the link to view the video, you'll be prompted to update your Flash player. This is where they get you. Instead of an update, you're actually downloading the virus. Always avoid clicking on this type of link, and if you suspect you actually do need to update Flash, head directly to Adobe to see if the update is genuine. The link may also tell you to re-enter your Facebook password or download some other type of software or application so you can view the video. These links are not genuine and they are simply going to download a virus onto your computer or compromise your Facebook account. These misleading links on Facebook are more common than ever. With the increase in legitimate Facebook ads on the site, it can be even more difficult to differentiate between what is a real advertisement and what is essentially the Koobface virus all over again. Ever had one of your friends post on your wall that they got a free iPad or that some miracle vitamins changed their lives? Perhaps you've seen a link that says that if you "like" a certain page or click on a certain link that you will be provided with a $100 Apple gift card or a $50 Starbucks gift card? That friend has a Facebook virus that is sending itself out through his entire network of friends. The creators of this type of virus are simply trying to make affiliate sales through unsavory web retailers. They may also be using these links to further perpetuate the virus by compromising more Facebook accounts, like yours. Don't click! There are many groups or fan pages popping up that claim that you have to join to see a shocking video. Some of these have titles like, "The shocking video that caused a mother to lose her children!" Like Koobface, you'll be prompted to install an update or special software to see the "shocking video." Don't do it - this is another virus in disguise. These can oftentimes cleverly disguise themselves by showing what appears to be a video thumbnail image with the "play" button overlaid on it, like how you would see if someone were to share a YouTube video. However, these are not thumbnails. They are simply static images that are meant to appear as if they will start playing a video when you click on them; instead, they'll simply install a virus on your computer or otherwise hack into your Facebook account. There are many apps on Facebook that can be fun, useful or entertaining. However, not all of these apps are safe for your account or your computer. Before installing or authorizing any Facebook app, have a careful read through the permissions that it is requesting and be sure that you want the app to have these authorized permissions. For instance, certain apps will ask to see your friends list or have the ability to automatically post to your wall without your permission each time. 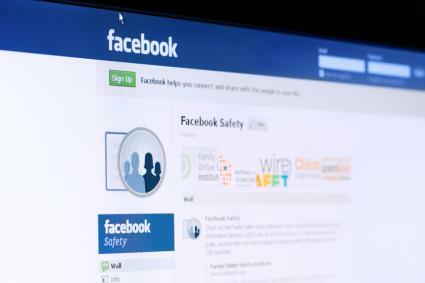 While some of these are legitimate, many Facebook apps can also be malicious. Be extra-careful when it comes to selecting apps to install. Perhaps you've discovered that your Facebook account has been hacked or you have a suspicion that you may be infected with a Facebook virus? You'll need to clean out the infection and take steps to prevent getting another Facebook virus in the future. Change your password frequently and ensure that it is a complex and secure password containing both upper and lower-case characters, as well as numbers and symbols. Eliminate unnecessary or suspicious Facebook apps that you may have installed by visiting your Facebook App Centre. If you recently installed an app that you think may have caused your problems, uninstall it immediately. If you haven't used an app in a while, it's not a bad idea to delete it either. You can also delete or edit app permissions from the App Settings page. Increase your security and privacy settings. These can be found from the menu next to the "home" button in the top-right corner of Facebook. Block apps and people that may be suspicious. Enable login notifications. These can be accessed under Account Settings, then Security. This way, you will get an e-mail message every time a new device (smartphone, laptop, etc.) logs into your Facebook account. If you did not log in yourself, then you'll know that someone else is accessing your account without your permission. Activate login approvals. Taking the previous tip even further, this requires every new login from a new device to enter a security code that is sent to your mobile phone. This can further prevent unauthorized people from accessing your account. Review your list of recognized devices. This is also found under the Security Settings section. Here, you can see a full historical list of all the devices that have accessed your Facebook account. If you see devices that you do not recognize, you should remove them from the list. The same is true with the "Action Sessions" section of the Security Settings page. Use good antivirus and anti-malware programs to clean out your computer. It is best if you use an antivirus with full real-time protection, but run full system scans regularly to be sure. If you try to install an application and it prompts you to log back in to Facebook, close the page and skip that app - it's phishing for passwords and personal info. Common sense goes a long way towards keeping yourself safe from viruses that spread through Facebook. If a link looks suspicious, unusual, or too good to be true, it probably is. If a link comes from a friend, contact him or her first to see if it's legit using a method other than Facebook. Stay safe!